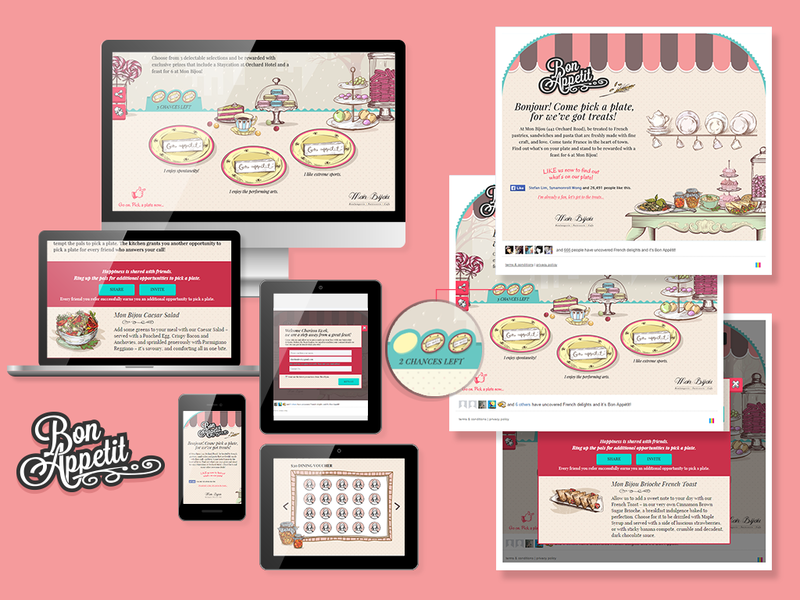 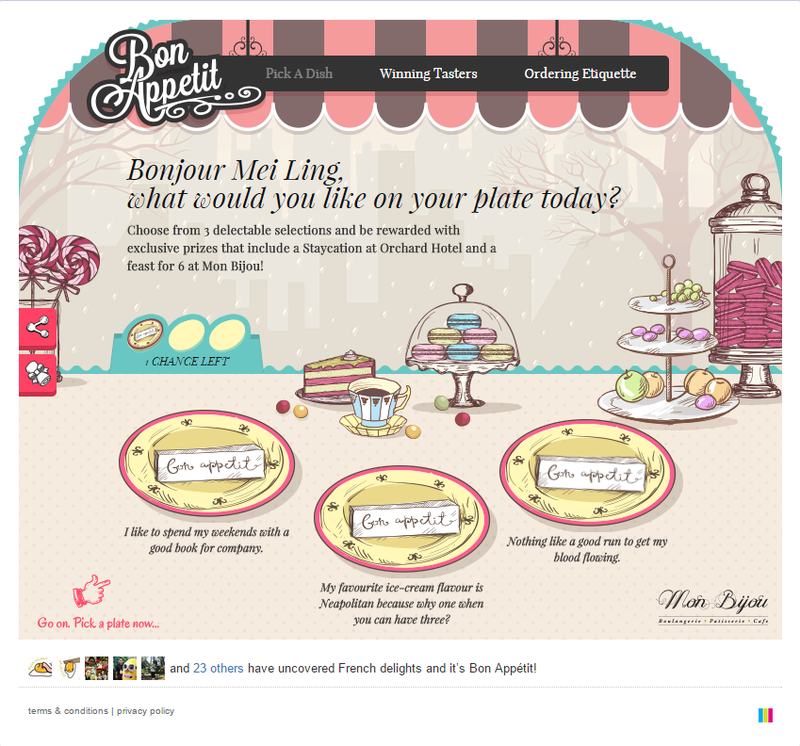 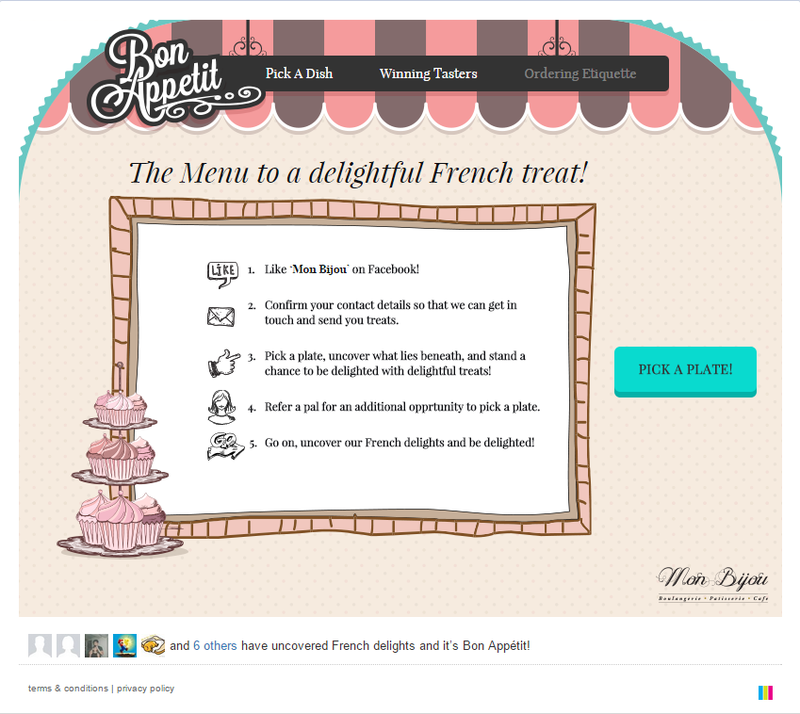 Deploy launch campaign for Mon Bijou Singapore, a French cafe by Millennium Hotels and Resorts. 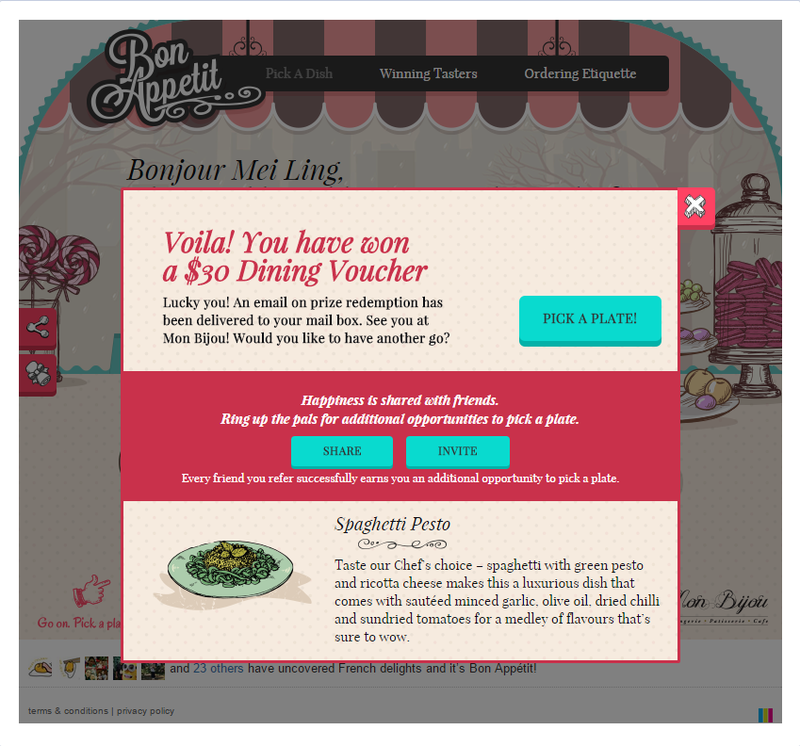 Singaporeans are invited to discover what’s on their plates via a web application on mobile. 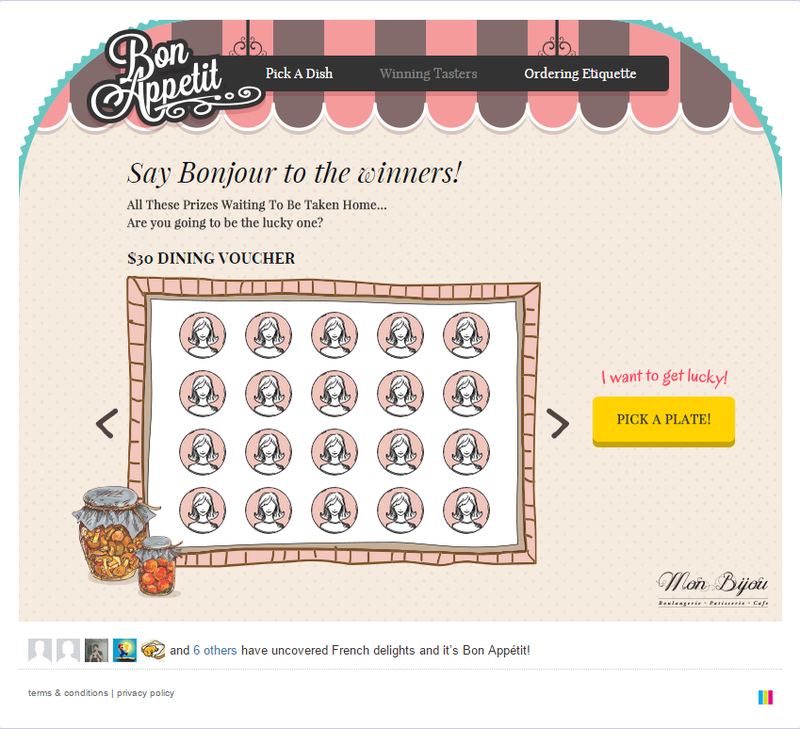 Each turn of the plate earns fans of Mon Bijou a reward that includes a staycation, a feast for 6 and $100 dining vouchers. 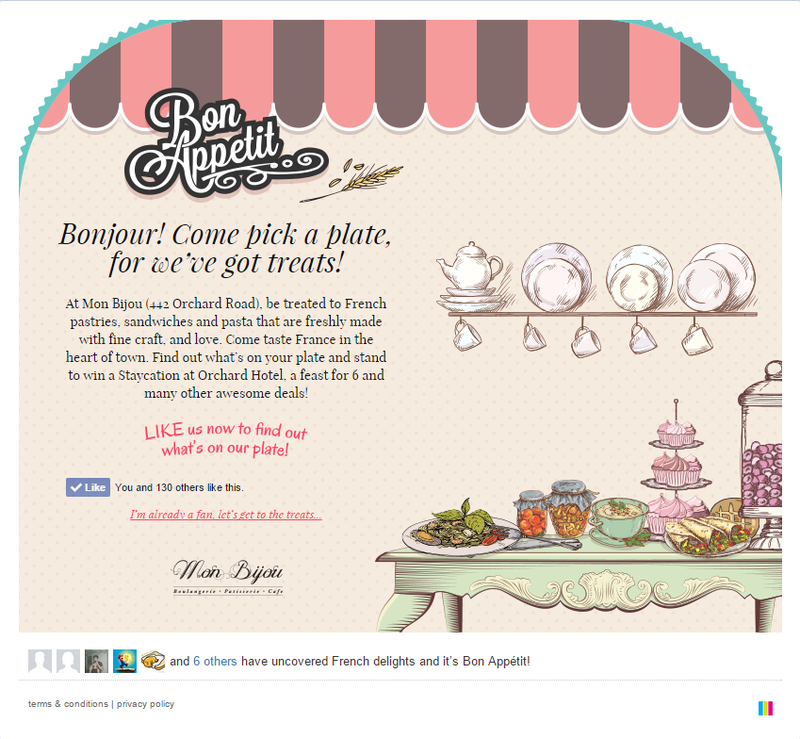 Dishes and offerings at the cafe are also showcased.